This is an archived version of our water page and is not actively maintained. For up-to-date content, see our current water page. Water-related illnesses, mostly diarrhea, cause the deaths of more than 1 million children each year in the developing world.1 Charities aim to provide health and other benefits via improved water sources. Benefits depend on many factors, such as the extent of water quality improvement, the convenience of a new water source compared to pre-existing water sources, and whether a water source is maintained appropriately. What are the challenges of finding a great charity? Can you share pre-project reports on the conditions of, and distances to, communities' pre-existing water sources? How do you assess the improvement in water quality brought about by your projects? Can you share evidence along these lines? How do you ensure that your water infrastructure improvements remain operational over the long term? Can you share the reports that come from your process for this? Do you address other sources of relevant diseases, such as hygiene practices? Do you track the impact of your programs on disease incidence and prevalence over time and can you share technical reports on this? The table below shows the 13 water-related charities whose websites we have reviewed. Most of them focus on providing infrastructure improvements, such as wells. Long term monitoring of wells? Water.org. Impact evaluation of urban and rural water and sanitation projects, Bangladesh (PDF). Water.org. Water Partners International community water systems sustainability evaluation, Lempira, Honduras (PDF). UNICEF. Keep it clean. http://www.unicef.org/voy/explore/wes/explore_1929.html (accessed October 26, 2010). Archived at http://www.givewell.net/files/ExternalWebsites/Unicef/diarrheadiagram.png. See our diseases page for background information on diarrhea. See our full report on water as a health intervention. Image from UNICEF, "Keep It Clean." Note that Water.org was formerly known as Water Partners International. 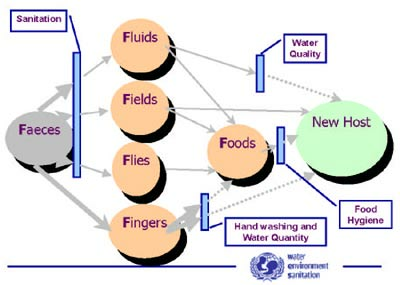 Water.org, "Impact Evaluation of Urban and Rural Water and Sanitation Projects, Bangladesh." Water.org, "Water Partners International Community Water Systems Sustainability Evaluation, Lempira, Honduras." Note that we checked these websites during the spring of 2009 and this table is up-to-date as of that time.